Bohemian winger Andy Mulligan was in the thick of the action as Carlow IT retained the Colleges FAI Cup with a 1-0 win against Waterford IT at Tallaght Stadium on Wednesday. Carlow were the early pacesetters and, after just five minutes, were handed a great opportunity to take the lead when Waterford keeper Cormac O’Brien felled Ben Ryan in the penalty area. But O’Brien made up for it by saving Barry O’Mahony’s resultant spot-kick. Tullow man Mulligan also had a great chance to hand a first-half advantage to Carlow. But the 19-year-old, keen to nail down a regular starting berth at Dalymount this season, dragged his shot wide of O’Brien’s goal on 17 minutes. Carlow then had another man familiar around these parts to thank for keeping them in the game as former Bohs keeper Craig Sexton dealt with Craig Maguire’s deflected shot comfortably. In the end, it took a substitute to help settle the game as Shelbourne’s Adam Hanlon was sprung from the bench. 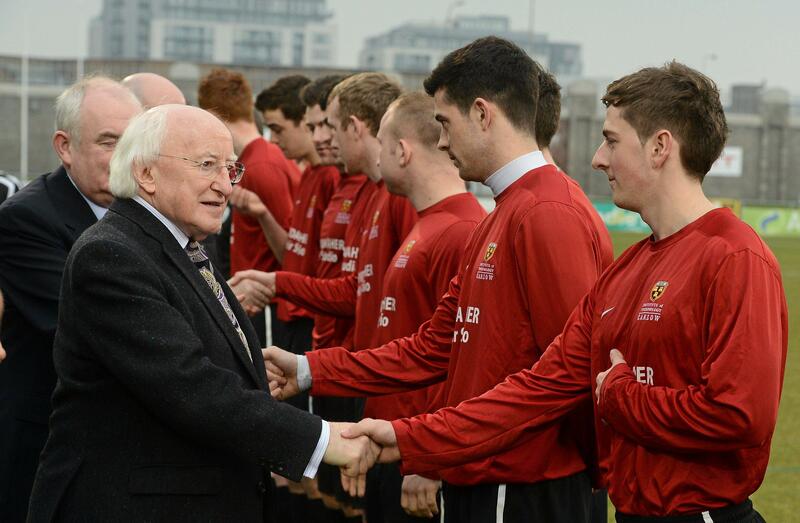 And on 62 minutes, his pinpoint cross from the right was met by the head of Ben Ryan to secure Carlow IT their second Colleges FAI Cup in a row. Meanwhile, next Wednesday’s (13th March) final of the Colleges and Universities Football League Premier Division pits Roberto Lopes against Bohs team-mate Stephen Traynor. Defender Lopes plays for Dublin Insitute of Technology and attacking midfielder Traynor for Dublin City University. They are up against each other in the final at Frank Cooke Park (Tolka Rovers), kick-off at 7.30pm.